Master Sommelier George Miliotes will being his expertise to Disney Springs with the opening of Florida’s only master Sommelier-led wine bar – Wine Bar George. The design for the 210-seat wine bar is reminiscent of a winemaker’s home estate featuring oak wood, warm lighting and a welcoming, comfortable atmosphere. Wine Bar George also will include a food menu featuring small plates designed to complement the wine list. Offerings will feature local artisans and seasonal flavors – “bringing guests ideal food and wine pairings and culinary explorations,” says Miliotes. Wine Bar George will offer more than 100 selections both by the bottle and the glass in a range of varietals, vintages and prices. Guests will be able to experience sips from acclaimed wineries as well as up-and-coming growing regions and wineries. Wine education will be served up in an approachable and fun manner, says Miliotes, and he is planning special events and visits from renowned winemakers. 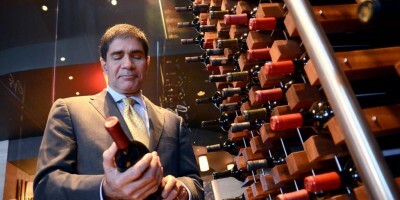 Miliotes is one of just 230 master sommeliers in the world.